Why Learn Hypnotherapy with Hypnotic World? 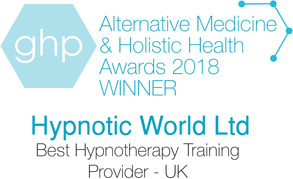 Hypnotic World is an ethical, respected training organisation with a reputation for excellence in hypnotherapy training. We have been delivering courses throughout the UK, Ireland and Europe with top class trainers in their field for over 18 years. All of our tutors currently run their own successful private practices so you can really gain the benefit of their experience. 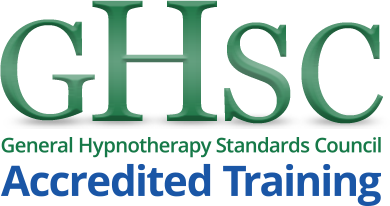 We offer a highly professional training course which is assessed and accredited by the GHSC and ACCPH, and approved by The Hypnotherapy Association. Our course is unique as we combine an excellent mix of face-to-face tutor sessions and dedicated workshops throughout the year. This allows you to gain in-depth knowledge and experience of the core elements within the practice of Hypnotherapy. You will also benefit from live demonstration and practice. Normally, this level of knowledge would not be gained within a Practitioners course but in CPD training at a later date. Your course will explore various approaches to effectively, safely and ethically treat the most common presenting symptoms for hypnotherapy such as addictions, phobias, anxiety, weight management and regression. You will also benefit from a full year's membership of Hypnotic World's professional resources site, including hypnosis scripts, a selection of downloads and additional resources - an exclusive feature of this course that no other training course can provide. The Practitioner Diploma in Hypnotherapy is part time and delivered over ten weekends. In addition to the classroom hours, personal study requirements will include: homework assignments, case studies, research and reading. Practical requirements: 50 hours to include 1-1 sessions. The total training time will be in excess of 450 hours. There will be ongoing practical and theoretical assessments throughout the course through group activities and one-to-one sessions. Each unit will be supported with a comprehensive training manual which will be distributed at the end of each training weekend. Students will be required to participate in practical work to embed their continuous learning throughout the course. Our aim is to provide you with all the knowledge and skills to become a qualified Practitioner and also to give you the confidence to run a successful Hypnotherapy practice or integrate it into your current employment. You will gain this through the dynamic style of delivery and enthusiasm that are trainers promote. Our mission is to provide you with a unique experience and an inclusive learning environment which takes everyone’s individual needs into account. We offer continuous feedback and support throughout and can identify in the early stages if you require any additional support. Our students come from a variety of backgrounds and experiences but all have a common interest in Hypnotherapy. 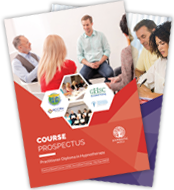 On completion of this course you will be eligible to join the GHSC's General Hypnotherapy Register (GHR) at full 'Practitioner' status and will receive 2 years' inclusive membership to the Professional Hypnotherapy Practitioners Association. We are excited to hear from you and to understand how we can guide you through any questions you may have.